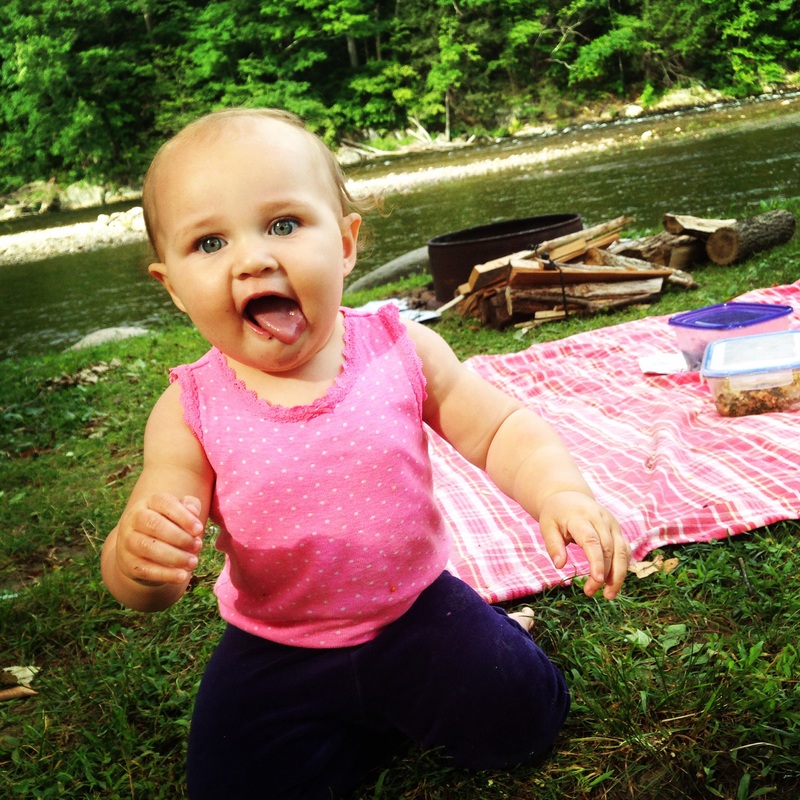 Last night we took the babes camping next to a pristine New England river. The rocks stretch out into the shallow water and there’s places to dip into the cold river. As we set up the tents, our little angels squeaked and jumped and played like little prairie dogs. After hiking and swimming, staring at the mountains, eating vegetables, and snuggling by the fire, the tent was a welcome sleep space. The night was cold and I suffered a bit from lack of sleep and a crying one year old. In the car on the way home, I was muttering about something inconsequential that made me bad company. The irritation has passed. Sitting here inside of a building, I now feel the steady constitutional upsurge of being generously winded by the air, toasted by the fire, watered by the river, and grounded by the earth. I benefit from being in the elements. Ever read that Tibetan book about how the elements of the body stay together in life and separate when it is over? Once we’ve made our full trip through life, first water leaves and the last is fire. When I feel exuberantly alive, I think- all of my elements are invigorated and together! I love to see the beautiful celebration of water and light shining out of my childrens’ faces. Don’t you get so tired of being properly dressed and checking other people’s photos online? I do. I feel a new resolve to leave the house and explore the land. Together. It is better to be uncomfortable in the right seat of nature than comfortable without her.